'The Mortal Instruments: City of Bones' official illustrated companion fotos. . HD Wallpaper and background images in the Alec & Magnus club tagged: the mortal instruments city of bones official illustrated companion 2013 magnus bane godfrey gao. 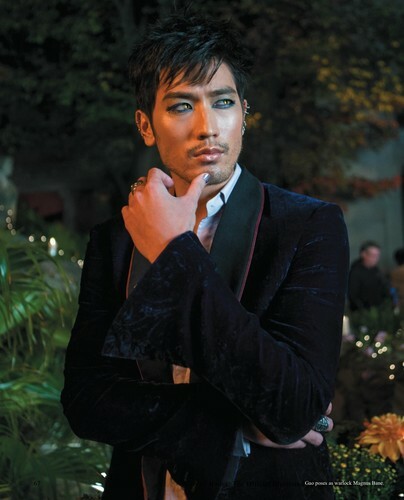 This Alec & Magnus photo contains traje de negocios and juego de negocio. There might also be bien vestido persona, juego, juego de pantalones, traje pantalón, persona bien vestida, traje, pantalones traje, pantsuit, and pantalones de traje.